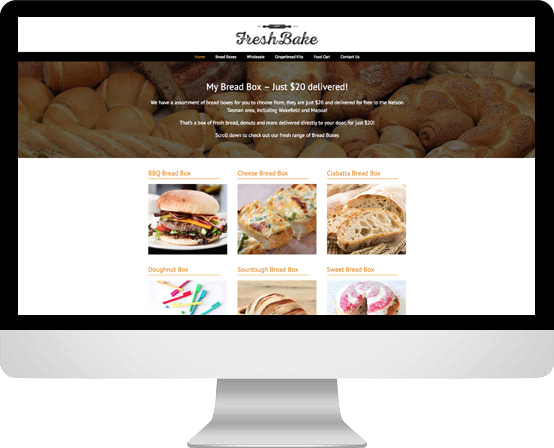 FreshBake had a Facebook page, but no website, and had been relying on their Facebook page to take orders for a new range of products. As the orders came flooding in, they were struggling to keep up with everything. Our job was to build a simple site that’d show off their products, allow customers to make orders, and organise these orders into a simple system that would allow them to stay on top of everything that came through the site.